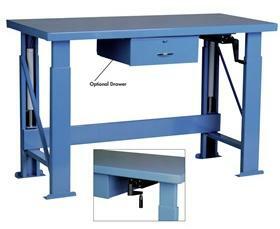 These ergonomic benches allow operators to adjust their work surface. Accommodates specific height need with ease. Benches 96" or longer have 3 legs and 6 cylinders. 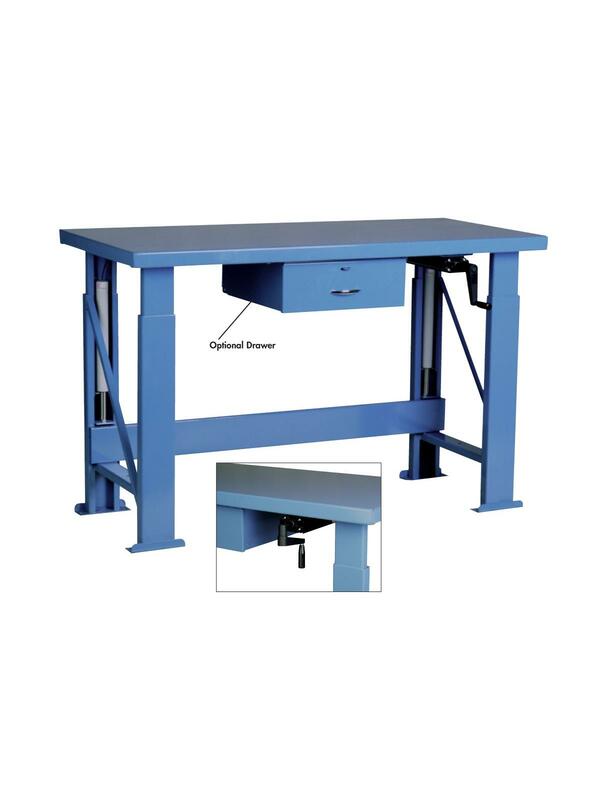 Puts the work surface at the right height for back and fatigue saving productivity. Benches can be ordered with 8", 12" or 16" height adjustment. 1000 lbs. for 8" and 12" adjustment 750 lbs. for 16" adjustment. 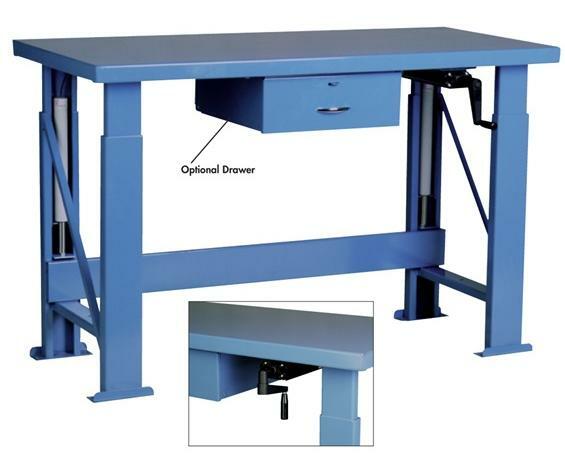 16" adjustment available on benches 34"D. or larger. Manual crank folds under the bench when not in use. Electric unit can adjust height with the push of a button. Custom design available. Choose from 8", 12" and 16" height adjustment. FOB Shipping Point.